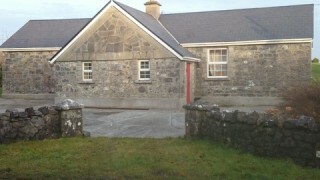 In 1770 Frederick Trench applied to the Royal Dublin Society for a grant to construct a school in Woodlawn. Lewis’ Topographical Dictionary of Ireland 1837 under heading of Killane states that ‘About 150 children are educated in a public school, to which Lord Ashtown contributes £26 per annum, and about 60 in two private schools’ The First Edition Ordnance Survey Map (1839) (Galway, Sheet 86) shows a ’National School’ marked immediately south of Killaan Graveyard, on the border of Cloverpark/Cloonamorris. Larkin’s map (1817) of the area also shows a building at this site. The ‘Rectory’, a detached Tudorbethan style building, set within its own grounds was used as a school until the early twentieth century. 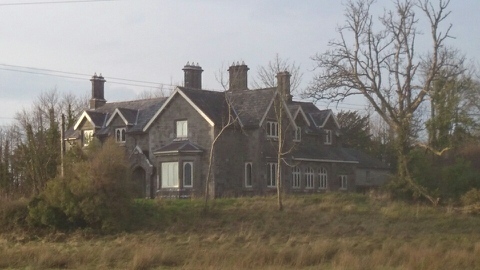 This is now a privately owned dwelling house and may be viewed from the main New Inn/ Ballinasloe Road. 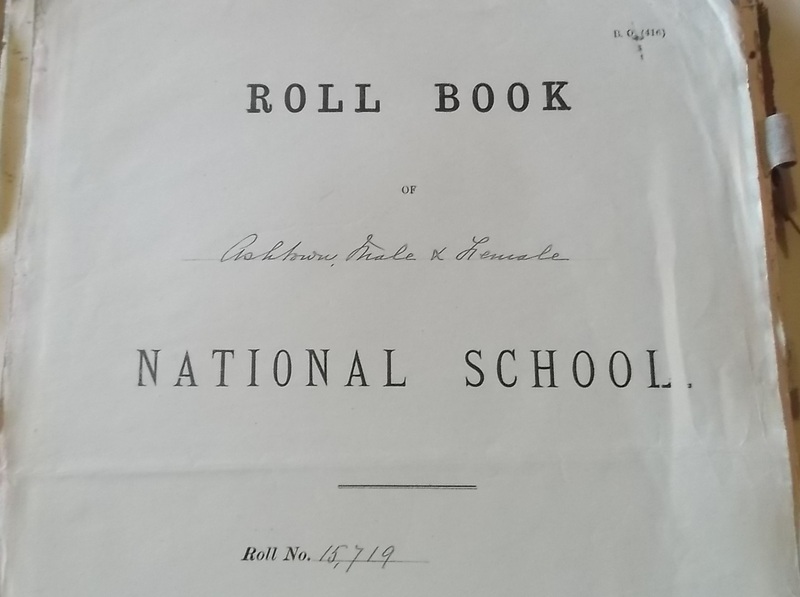 According to the School Roll Book for Ashtown Male and Female National School, Roll number 15,719, Circuit 12, Section B, in the townland of Killaan, was built on a site of 30 Perches 1846/1847. 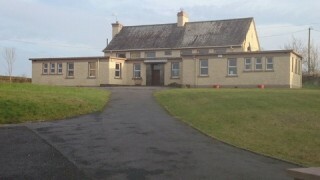 It is not clear if this is the same building that is now known as ‘The rectory’. 1887. 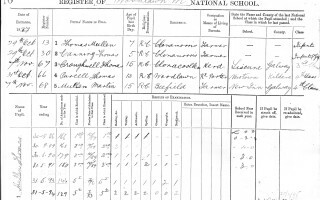 Register of Woodlawn N.S. 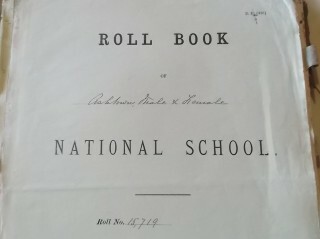 2nd of August 1886 10 boys and 17 girls were on the roll. This rises to 31 boys and 38 girls by the end of that year. Reading the registers we can see where people came from and the occupation of their parents. Many stories are hidden behind these names, dates and professions. Can you identify your relatives? We have arranged the names in alphabetical order for your convenience. 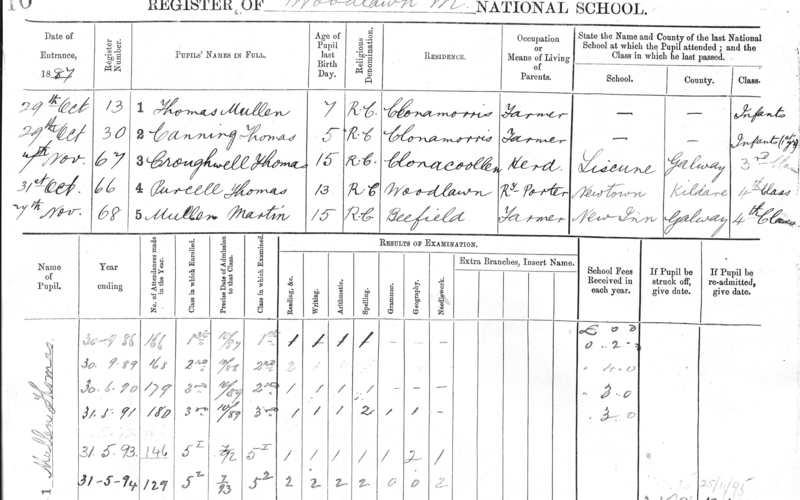 The School Registers for Woodlawn National School (Male & Female) from 1886 – 1920 give us information on pupils’ age at time of registration, previous schooling, and parents’ occupation. 1 Mary Burke, 2 Maureen Biggins, 3 Emily Madden, 4 Mary Daly, 5 Vincent Sheridan, 6 Ambrose Mitchell, 7 Mattie Brien, 8 Mary Kelly, 9 Carmel Biggins, 10 Mary McDonagh, 11 Mary Glynn, 12 Paddy Quinn, 13 Angela Quinn, 14 Denis Madden, 15 Gearoid Mullivihill, 16 Tom Seale, 17 Raymond Barry, 18 Anne Murray, 19 Michael Daly, 20 Helen Pritchard, 21 Helen Sheridan, 22 John Joe Brien, 23 Joseph Sheridan, 24 Watt Pritchard, 25 Tony Kett, 26 Michael Bellew, 27 Josaphine Brien, 28 Paddy Kelly, 29 Michael McDonagh. 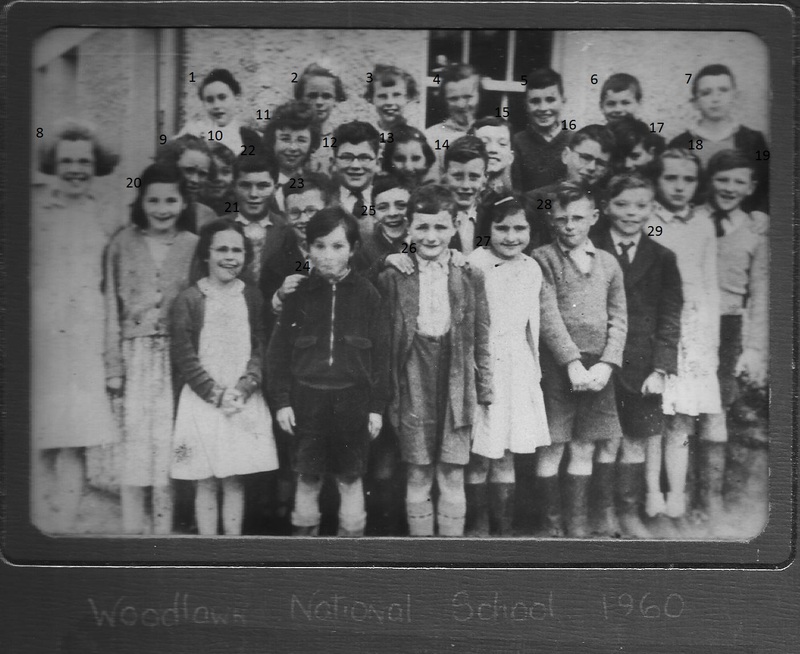 Edited and written by Eibhlín Ni hInnse, here you will find stories collected by the children from their parents, grandparents, neighbours and friends of Woodlawn and surrounding areas in the 1930’s. Tales of fairies and superstitions are written with flair and conviction giving us an invaluable insight into the lives and pastimes of our ancestors. Cures for everyday ailments like warts and a sty are among this detailed collection.